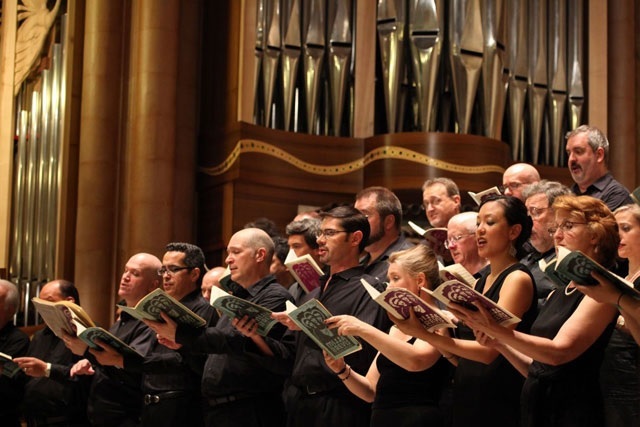 On Thursday, April 18th at 8 pm Voices of Ascension will perform some of the most beloved of all choral works (such as the Mendelssohn and Ireland works), performed with the polish, care and interpretive depth that can only come from one of the world’s preeminent choral ensembles. Two of the other pieces share the same text (Psalm 90) and are among the most profound works ever composed for chorus: Vaughan Williams’ extraordinary Lord, thou hast been our refuge for two choirs, trumpet and organ, and Ives’ astonishing masterpiece, Psalm 90, for chorus, soloists, organ and bells situated at all corners of the church. Maestro Keene has called Ives’ Psalm 90 “quite possibly the single greatest composition ever written by an American composer.” A lighter side will feature two rousing choruses by Carl Maria von Weber and Beethoven, each a tour de force vehicle for coloratura soprano Deborah Feldman. And finally, we will hear new works for chorus: the winning compositions of the 2013 Sorel Medallion Award and the World Premiere of Eve Beglarian’s Building the Bird Mound. According to Eve, the piece is inspired by an amazing site she came upon in her journey down the Mississippi River, the remains of a Native American town called Poverty Point, which has a giant bird mound which was constructed sometime between 1750 and 1350 B.C. Tickets can be purchased online at Voices of Ascension or call the box office at (212) 358-7060.